The reality star gave a glimpse of her post-baby body. Inquisitr reported about Tori Roloff’s latest Instagram photo taken during a trip to a local swimming pool. 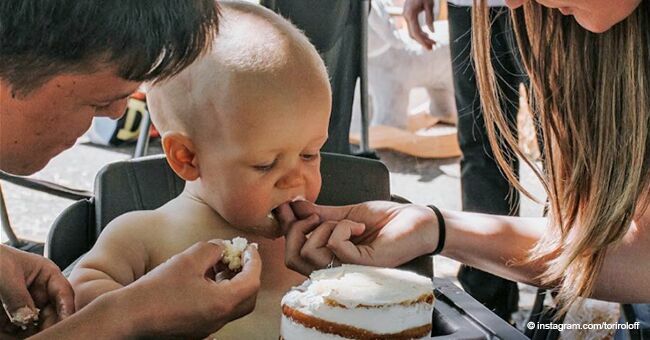 Little People Big World star, Tori Roloff took her son, Jackson, swimming recently. The mother and the baby looked stylish while taking a dip in the pool. Roloff used a photo from the trip to promote a women’s swimsuit brand. However, the real star was baby Jackson, who stole the show by rocking his own stylish swimwear. The mother chose the perfect pair of tiny trunks for the energetic little one even as he got a little swimming practice. 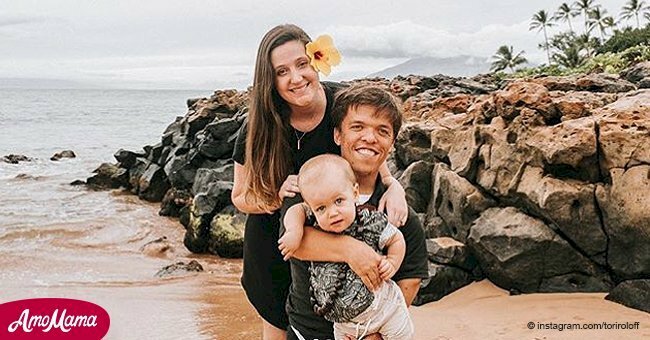 Roloff told her followers on Instagram that her 10-month-old boy was becoming quite a little water baby. The two visited an indoor pool over a weekend and enjoyed a swim. Baby Jackson will be ready to spend lots of time in the water now that summer is fast approaching. After all, the Roloff family does own an outdoor pool. The proud mother revealed that the little one took to the water like a fish. He had a wonderful time splashing around with the other children at the aquatic center. Tori Roloff, Instagram, March 26, 2018. 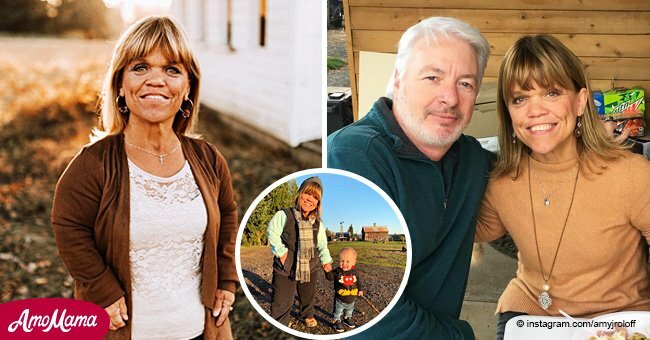 A few weeks ago, Roloff was praising Jackson for reaching another milestone. He said that he was trying to stand up and now he is already swimming. 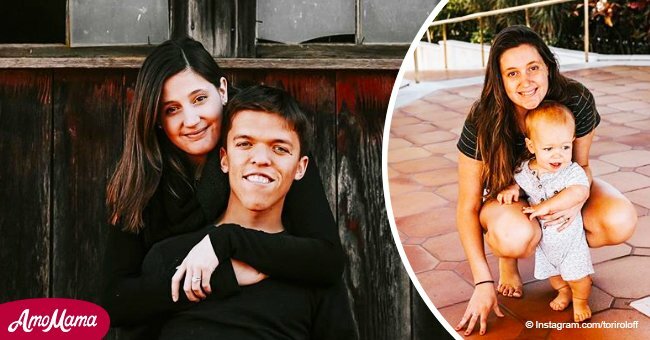 The real reason Roloff shared the post was not to update fans on another of baby Jackson’s milestone. She told her followers where they can purchase her black-and-white striped swimsuit. She revealed that it was a one-shoulder one-piece swimsuit from Albion Fit. Priced at $128, it can be availed at a discount of 15 percent using a code she shared in her post. The little one’s board shorts were purchased at the Gap. The light green shorts appear to be decorated with blue soccer balls. Since Zach Roloff is a soccer coach, it was thought that his wife was drawn to such a design. However, a closer look revealed that the $12 swim trunks were actually covered with turtles. This was not the first time Jackson was seen in the water. The parents had the little one chilling out in the family pool in July last year when he was only two-months-old. Fans can witness the youngest Roloff’s aquatic adventures when the show returns on TLC on April 3.